10. I’m no longer 23 years old, so 5 hours or less of sleep for 5 days in a row means heading home feeling run down and with a cold; I’m admittedly a little disappointed in myself. 9. 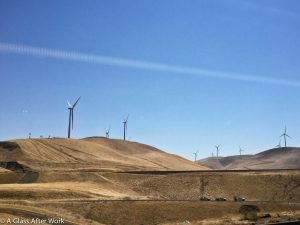 Livermore Valley is not only home to some beautiful vineyards, but some impressive windmill farms; my pictures from the bus don’t do it justice, but I’ve never seen anything like it. 8. 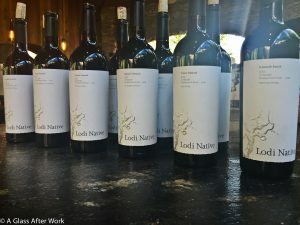 There are over 100,000 acres of wine grapes planted in Lodi, and 7 Deadly Zins are what people know best; because that was my impression of the area, I rarely drink Lodi wine at home, and I assume that is why I have a devil of a time finding it in DC wine stores and restaurants…all of that needs to change. 7. Michael David Winery survived prohibition by continuing to grow grapes, but instead of making wine from those grapes, they were shipped with instructions on how NOT to ferment them. 6. The Lodi Native Project Zinfandels were some of my favorite wines during the conference, and the work these winegrowers and winemakers are doing is very impressive; the project is a collaborative project by 6 Lodi winegrowers (although there will be more for the 2015 vintage) that not only highlights the region’s heritage Zinfandel vines, but also requires the wines to be produced through sensible farming and minimalist winemaking practice protocols. 5. 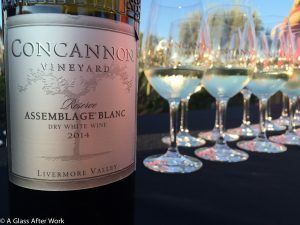 People should start looking to Livermore Valley Wine Country for fun, elegant wines; whether it was the large producers like Concannon Vineyards and Wente Vineyards or smaller producers like Vasco Urbano Wine Company and Page Mill Winery, there is a lot of quality wine in all price ranges to be found in the area…so, drink up (or don’t because it means there will be more for me). 4. The Livermore Valley Wine Country is closer to the San Francisco airport than Napa/Sonoma, and Lodi is only a little further away from San Fran than Napa/Sonoma, so there is no reason why both places can’t become just as popular with wine lovers; both are definitely wine destinations I need to revisit. 2. 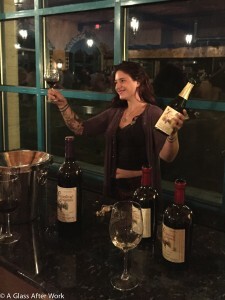 Look to Lodi for some delicious Spanish varietals, like the Tempranillo made by both Amant Winery and McCay Cellars; longtime readers know how I love my Spanish wines. Pictured top: Becca from The Gourmez, Me, Maria, & Catherine from Pursuing Pinot. Pictures on the Bottom: Left: Me and Sarita from Vine me Up; Right: Chris from Forgotten Grapes, Kris from Nebraska Wine Tours, I’m not sure who this is (whoops! ), WBC JoJo, Justin from Wizard of Whiskey, and me. 1. 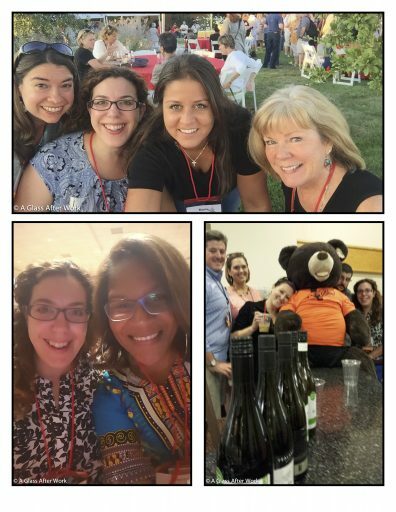 The conference is like a big family reunion, except instead of blood relatives, I get a chance to see my wine blogging family, many of whom I haven’t seen in a year or two, and meet new additions…and it’s my favorite part! 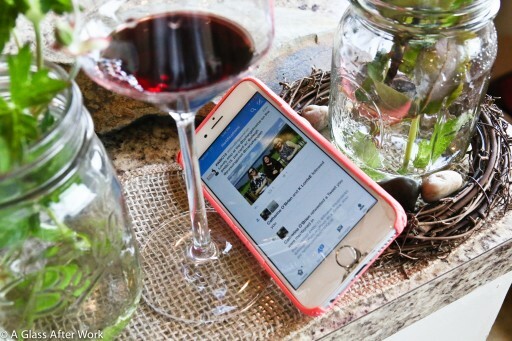 Question of the Day: Have you had wines from Livermore Valley or Lodi? What did you think? Do you have a favorite? 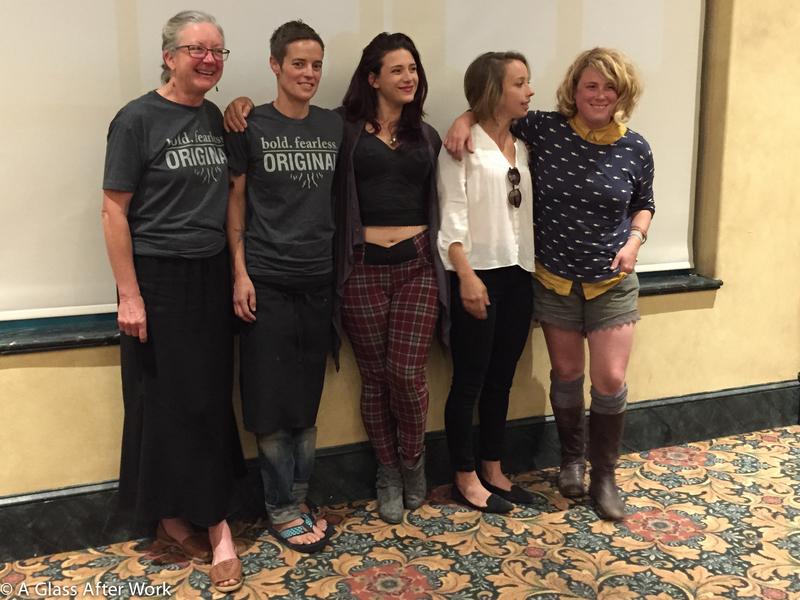 Bonus Question if you attended WBC15: What was your #1 takeaway from the conference? 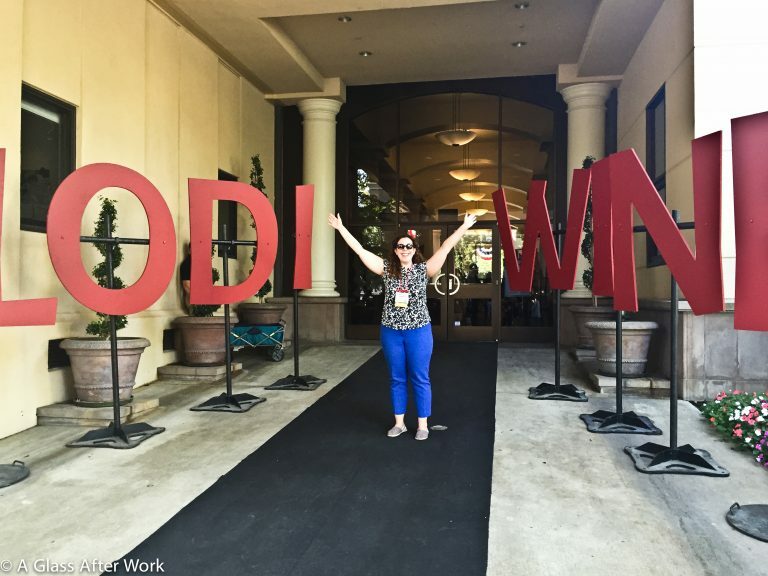 Question of the Day: Do you go to conferences for either work or your blog (or both)? What is your favorite part about conference-going? This pumpkin variation of my regular snickerdoodle recipe is a delicious, seasonal cookie. In medium bowl, mix together flour, cream of tartar, baking soda, and salt. Set aside. Add vanilla and pumpkin puree. Mix until combined. Fold in the white chocolate chips. Dough will be very soft. Remove dough from the refrigerator to let it warm up for a minute or two, if you left it for more than 30 minutes. Line cookie sheets with parchment or silicone mats. In small bowl, mix together remaining sugar and cinnamon for coating. Take a rounded tablespoon of chilled dough and roll between the palms of your hands to create 1-inch balls. Roll balls in the cinnamon and sugar mixture until coated. Place cookies on lined cookie sheets. Keep cookies about 2 inches apart and press them down so that each is about 1/2 inch high. Let cookies set on baking sheet for 5-10 minutes before removing to a cooling rack. This recipe is inspired by Sally's Baking Addiction's Pumpkin Snickerdoodles and a modification of my Snickerdoodle recipe. 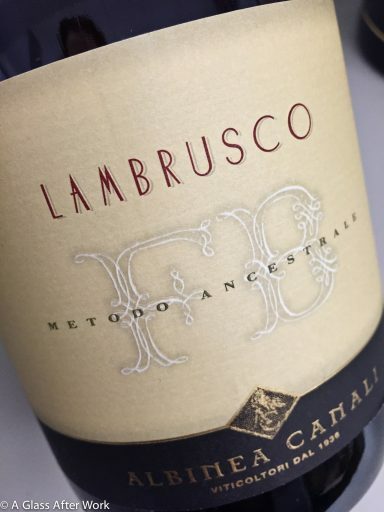 Banfi’s Lambrusco seminar at the 2015 Wine Bloggers Conference (WBC15) inspired the focus for this year’s tasting. In the WBC15 session, I learned that Lambrusco is the most purchased Italian red wine in U.S. retail chain stores. 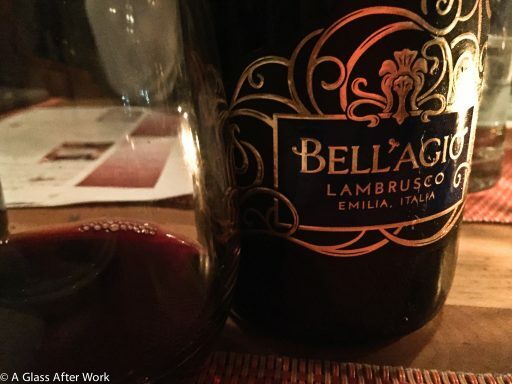 And, I realized that while I love ordering Lambrusco out at restaurants, I knew very little about the wine, I rarely bought a bottle to drink at home, and even less frequently wrote about it on the blog. 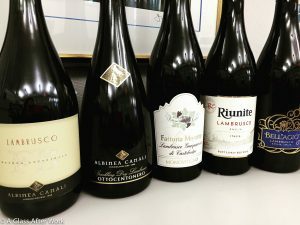 So, I decided while still at the conference that 2016 was the year I would publically embrace Lambrusco, and what better way to do that than by organizing a Lambrusco wine dinner for my work colleagues. At least once a year, my department does a team-building event. Several months after I started at this job, I offered to do an Albariño wine tasting for one of these gatherings. Since then, our annual staff bonding has occurred over food and wine. Usually, it’s just for the 15 people in my division that are located in DC. This year, however, the tasting ended up being while the regional members of our team were in town, so our size actually doubled. None of my coworkers are wine experts and only a couple could even recall ever having a Lambrusco before our dinner. In case you’re unfamiliar with the wine, Lambrusco is a sparkling red wine made from a family of grapes that are unique to the Emilia-Romagna region of Italy. This northern part of the country is about the size of Massachusetts and is particularly well known for the food that comes from the area. 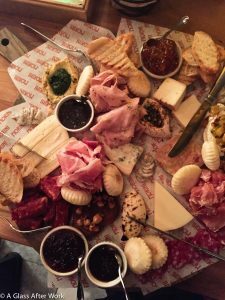 Therefore, it’s no surprise that Lambrusco makes for a perfect wine pairing with many of these items. 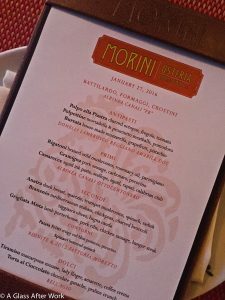 As luck would have it, one of my favorite Italian restaurants in DC–Osteria Morini–specializes in food from the Emilia-Romagna, so there was no question about holding the wine tasting dinner there. 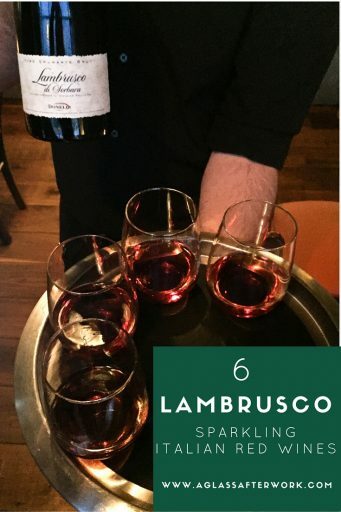 There were 6 different Lambruschi (the plural of Lambrusco), ranging from dry to sweet, as well as from pale in color like a rose to inky purple like a sparkling red wine. 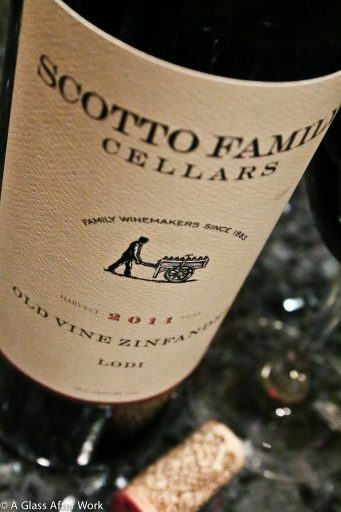 Lighter bodied with bright acidity. Dry, almost bitter finish with bright acidity, but pleasantly so. Dark ruby with hints of violet and purplish, foamy top. Medium bodied with soft tannins. What I still love about these wine dinners is that they’re not just about the wines, but also about experiencing the wines with good food and company. And, the restaurant definitely didn’t let us down when it came to good food. 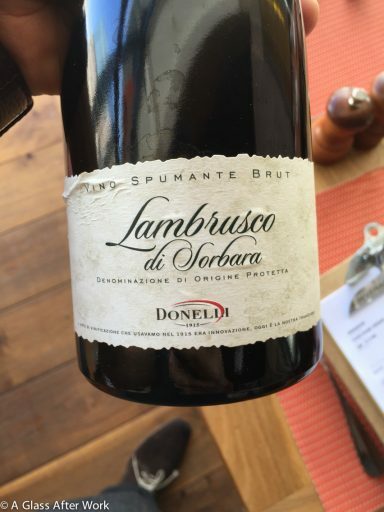 The evening started with a cheese and charcuterie board to go with our first Lambrusco–the Donelli Lambrusco di Sorbara, which is the only bottle we opened from the restaurants wine list. The Lambrusco and the boards were enjoyed cocktail hour style, with everyone standing our talking, eating, and sipping away. 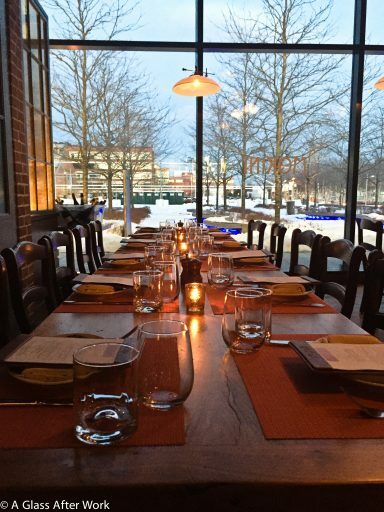 After that, we sat down to dinner at two long tables, where we indulged in a 4-course, family style dinner. After the about 30 minutes of standing around talking, we settled into our seats for dinner. 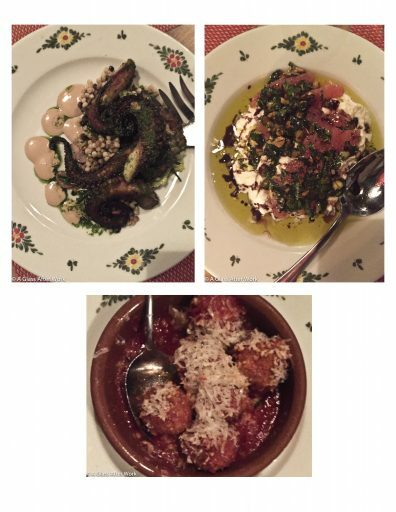 The Albinea Canali “FB” was served with the antipasti course–Polpo alla Piastra (charred octopus, fregola, and tomato); Polpettine (mortadella & prosciutto meatballs, pomodoro), which is one of my favorite dishes at Osteria Morini, and Burrata (house-made mozzarella, grapefruit, and pistachio). The FB is a lighter, drier style of Lambrusco. And, while the FB paired nicely with all three dishes, I could not get enough of combining it with the octopus. I kept taking a sip of wine, then a bit of octopus, and another sip of wine. It was one of the few dishes I went back for seconds on, even knowing how much more food was left to come. For the second course (or Primi course), we opened the Albinea Canali Ottocentonero to drink with three different pasta dishes–a Rigatoni (made with braised wild mushrooms, rosemary oil, and parmigiano), a Gramigna (made with pork sausage, carbonara, and pecorino), and a Cassarecce (a squid ink pasta with scallops, squid, rapini, and calabrian chili). The Gramigna is usually my go-to dish at the restaurant, but I think that’s because I never had the Cassarecce before. 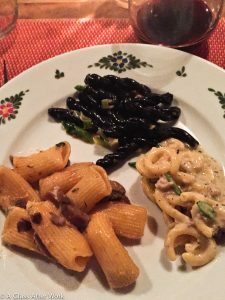 The Cassarecce was my favorite of the night, and when put with the acidity and flavors of the Lambrusco, both the food and the wine came to life in a way that took what was already enjoyable individually and just made them sing together. 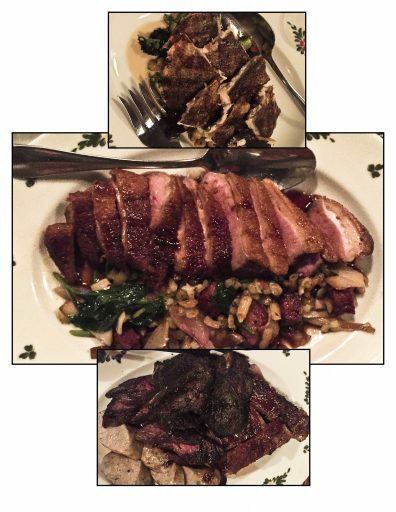 The main course (or secondi) actually featured two Lambruschi–Riunite and 2013 Fattoria Moretto Monovitigno–and they were paired with several different types of meats–Anatra (duck breast, spaetzle, trumpet mushrooms, spinach, radish); Branznio (Mediterranean seabass, chickpeas, charred broccoli, taggaisca olives, and bagna cauda); and Grigliata Mista (lamb porterhouse, pork ribs, chicken sausage, and hanger steak). Our side dishes, which I somehow missed getting a picture of, were Patata Fritti (crispy red bliss potatoes with pecorino) and Spinaci (buttered spinach). 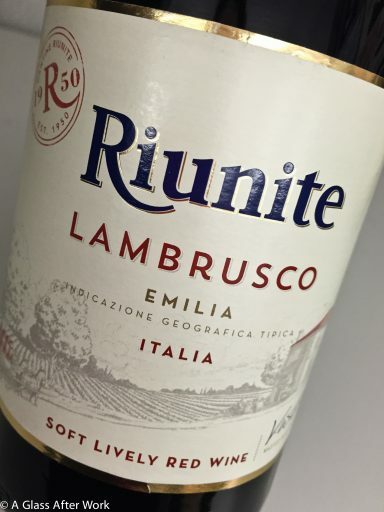 The Riunite has a bit of sweetness, definitely more than the Fattoria Moretto Monovitigno, but that made the pairings even more interesting because everyone agreed that both wines matched the food beautifully. 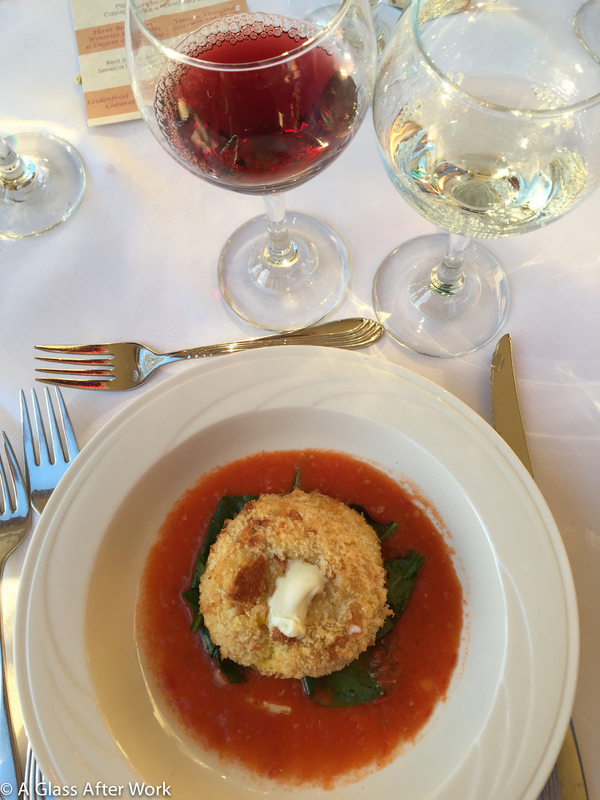 Several coworkers mentioned that they never really experienced a “good” pairing and the difference it can make in how the wine and the food both taste, but that this course really highlighted the possibilities for them. 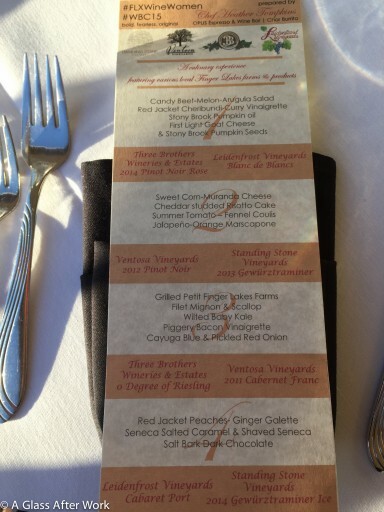 It’s also worth noting that during this course, we tasted both the least and most expensive wines of the night. Interestingly, they were also both the favorite wines of the night. When it came to these two in particular, since we were tasting side-by-side, I asked everyone to show their hand for preferences before reveling the cost of the retail cost of the wines, and it was split almost exactly down the middle. Finally, we finished the evening off with our last Lambrusco–the Bell’Agio–and dessert (Dolci course). 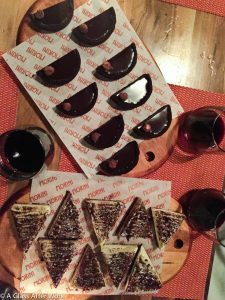 This Lambrusco was the sweetest of the night, and its sweetness was particularly nice with the flavors of the Tiramisu (mascarpone mousse, lady finger, amaretto, and coffee crema) and Torta al Cioccolato (chocolate ganache and praline crunch). Overall, the tasting was a huge success! 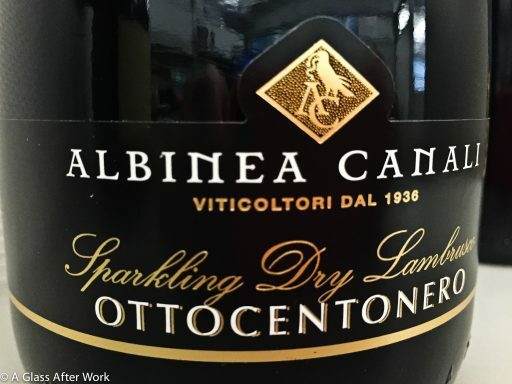 I’ve had several coworkers follow-up when they’ve ordered Lambrusco at a restaurant or bought a bottle to share at home, and that is the ultimate sign of success for me. A special thanks to Joe and Dino at Banfi for generously providing 4 of the 6 wines we tasted and to Jonna, Rubio, and the rest of the Osteria Morini DC team for an unforgettably delicious evening. 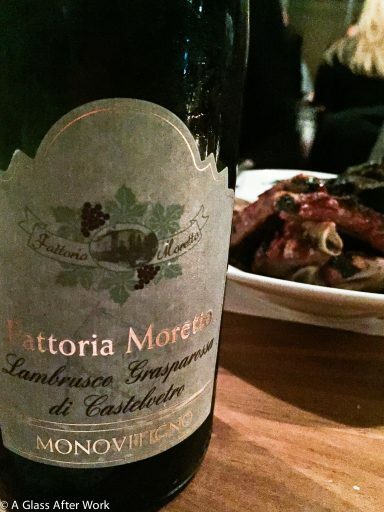 Question of the Day: Have you ever had Lambrusco? If so, what are your thoughts on the type of wine? Do you have a favorite? After leaving Villa Bellangelo on the first day of the Wine Bloggers’ Conference pre-conference excursion, we had an hour to settle into our rooms at the Hampton Inn in Geneva, NY. 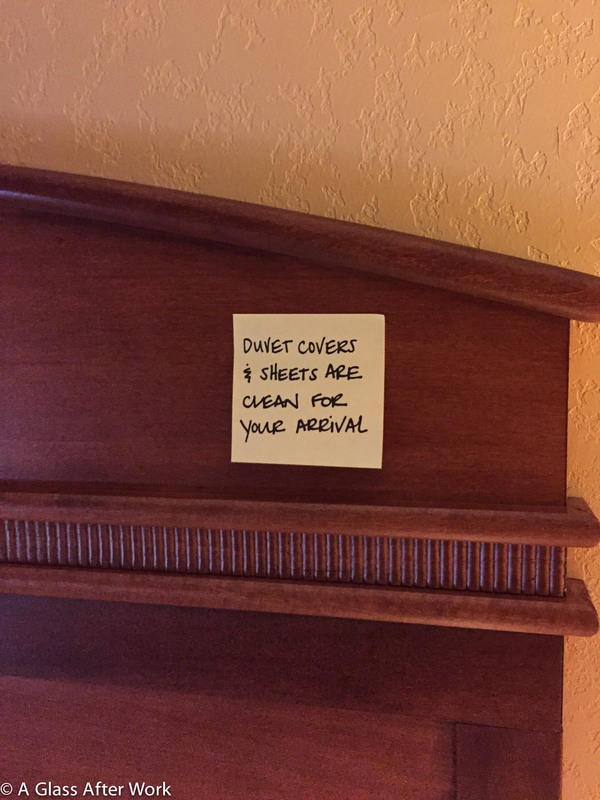 While not overly fancy, the hotel was clean (even leaving a little sticky note on my headboard ensuring me my duvet cover and sheets had been freshly cleaned), the staff was super organized and friendly, and the location was walking distance to Seneca Lake and downtown. It was perfect for our group. Once we were cleaned up, we headed to Ventosa Vineyards for a night of food and wine with the FLX Wine Women– Chef Heather Tompkins from OPUS Espresso and Wine Bar, Erica Paolicelli from Three Brothers Wineries & Estates, Jenna Lavita from Ventosa Vineyards, Liz Leidenfrost from Leidenfrost Vineyards, and Martha Macinski from Standing Stone Vineyards. Each of the women gave a presentation, highlighting not only what was unique about each of their vineyards, but also what was unique about them and their experiences being a women in an industry that is often dominated by men. Then, during dinner, they each spent one course with one of the four tables, giving us the opportunity to talk with them one-on-one. OPUS is located in Geneva and specializes in freshly roasted espresso, homemade, Paninis, fresh baked pastries…and wine, of course. 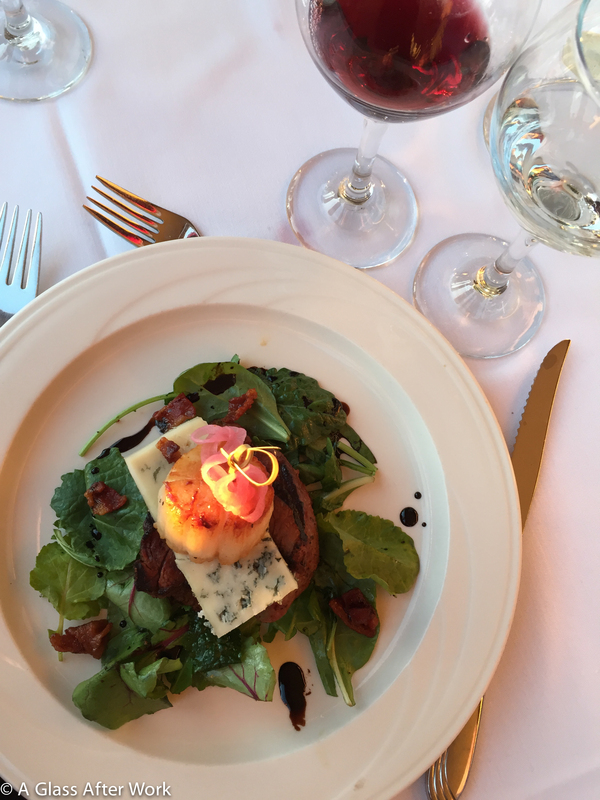 While I didn’t get a chance to visit OPUS during the trip, Chef Heather prepared a decadent dinner made from local ingredients that highlighted the wonderful things each of the local winemakers are doing with their wines. Should I find myself in Geneva again, I will definitely be visiting OPUS in person. Three Brothers Wineries & Estates actually is made of three wineries–Stony Lonesome Wine Cellars, Passion Feet Wine Barn, and Bagg Dare Wine Company–and a microbrewery called War Horse Brewing Co. that makes both hard ciders and beer. They actually have two locations if you’re looking to taste–the location in Geneva, as well as a storefront in Eastview Mall. 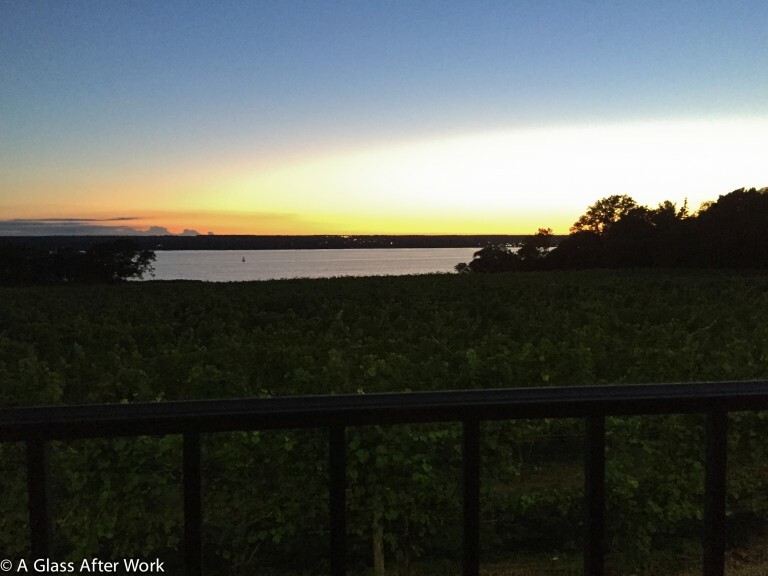 Ventosa Vineyards consists of 23 acres overlooking Seneca Lake. They’re known for producing dry red wines like Cabernet Franc, Cabernet Sauvignon, Pinot Noir, and Sangiovese. 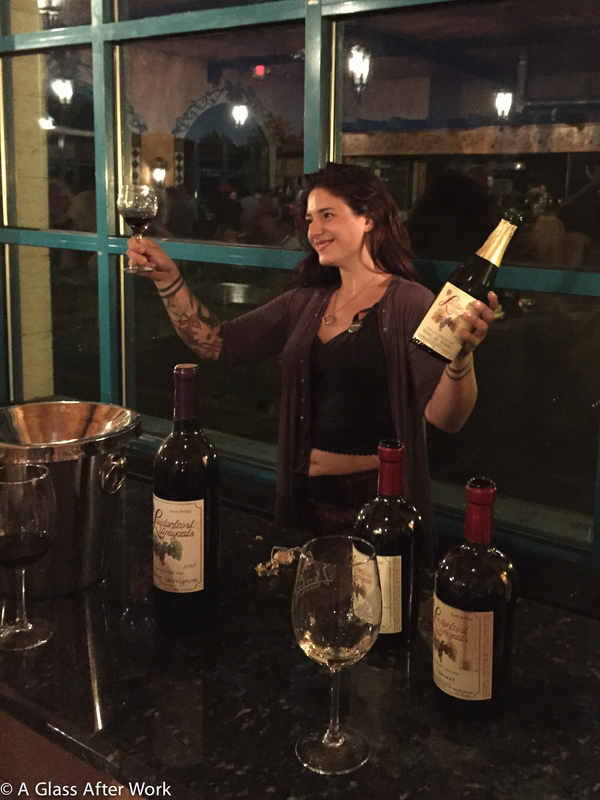 The night WBC15 was at Ventosa, they were awarded the 2015 Governor’s Cup for Best Red Wine–the 2011 Ventosa Vineyards Lemberger. Standing Stone Vineyards is 41 acres and was originally planted in the early 1970’s as Gold Seal Vineyards. Owners Tom & Marti Macinski bought the farm in 1991 and have grown it from a vineyard that produced 800 cases of wine in 1993 to one that now produces about 8000 cases. Leidenfrost Vineyards has been owned and run by the Leidenfrost family since 1947. It’s located on the east side of Seneca Lake in Hector, NY and produces about 3000 cases of wine annually. Sadly, I couldn’t find any information about this wine on Three Brothers’ website, but it was a very pleasant rosé and I recommend trying it if you see it. The wine offered some lighter red fruit notes and had good acidity, which helped it hold up to the oil and cheese in the salad. It would be a great sipper on a hot summer day. The is a traditional Méthode Champenoise sparkling wine made from Chardonnay grapes. It was very subtle, with some honeysuckle, cream, and a hint of toast. 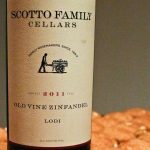 It was a favorite at my table, and the bottle was empty before I had a chance for seconds. I particularly liked it with the pumpkin seeds in the salad. The Pinot Noir was a light ruby color with bright cherry notes, low tannins, and a bit of acidity. The acidy and lighter body helped cut through the fat in the cheese and risotto cake, keeping both the flavors of both the food and wine fresh in my mouth. This wine caught my attention because it was very different from the others. It had a light body and good acidity, like many of the other wines, but the rose petals and passion fruit notes combined with its food-friendliness made it very memorable. Plus, the price point makes it a nice every day option. 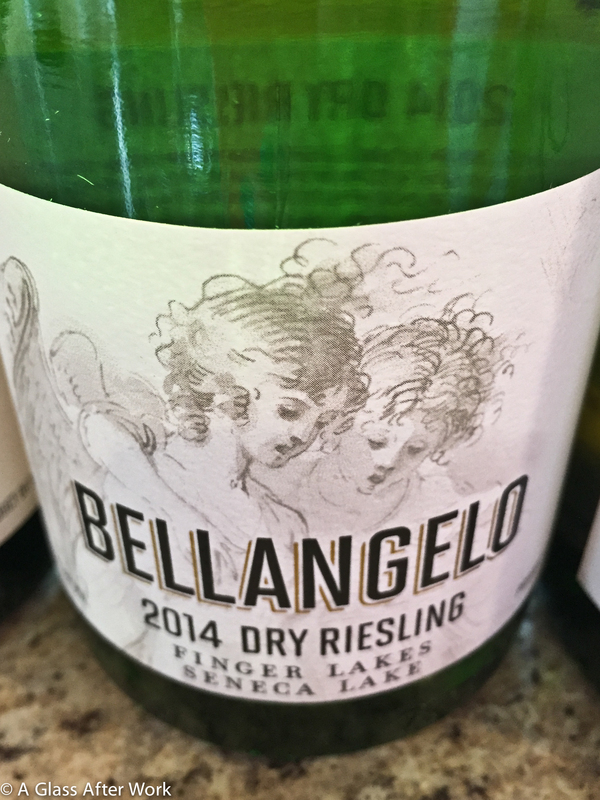 This Riesling was clear, crisp, and stunning…especially at this price point. There were some nice apple and pear notes, mixed with a refreshing minerality and a bright acidity. I was nervous about pairing it with the filet portion of dinner, but it held up surprisingly well. That said, I couldn’t get enough of it with the scallop. Nice medium ruby color with black cherry and earthy notes. I could have used a touch more body on the wine to match the nose, but it was still delicious. In fact, while it’s a little pricey, it was my favorite of the Ventosa wines and paired beautifully with the filet and scallop. Holy cow…this port was absolutely luscious. There were ripe raspberries mixed with vanilla and a hint of baking spice. It was like drinking liquid velvet. Pairing it with the salted caramel and dark chocolate was just decadent. 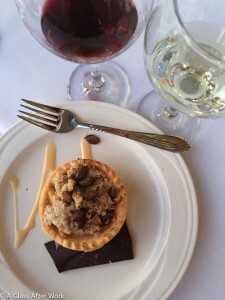 While I always enjoy a good sweet wine, I usually only enjoy them while dining out. This wine left me wondering if I should keep a bottle on hand at home. It’s a full body, sweet wine with good acidity. 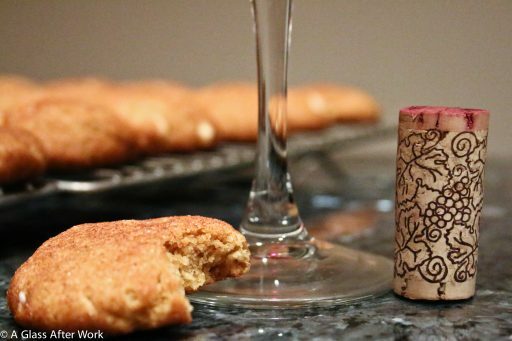 There are golden raisin and honey notes, and the wine just lingers in your mouth. Question of the Day: One of the FLX Wine Women wondering during her presentation about the benefits of focusing solely on women in the wine industry. Statistically, there are more men winemakers than women. Is gender something that makes a difference to you when deciding what wine to buy? Is this something that you think people should be talking about? 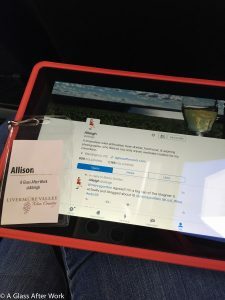 I started my Wine Bloggers’ Conference (WBC15) experience on the pre-conference excursion to the Seneca Lake Wine Trail (SLWT). Seneca Lake is the largest of the Finger Lakes and the deepest lake in New York State. The SLWT is home to 35 wineries. While Riesling, Chardonnay, Cabernet Franc, and Pinot Noir are the dominate grapes, wineries are experimenting with grapes like Blaufränkisch/Lemberger and Grüner Veltliner, as well as some of the native and hybrid grapes. The first winery stop was to Villa Bellangelo (@BellangeloWine), which is on a hill overlook central Seneca Lake. 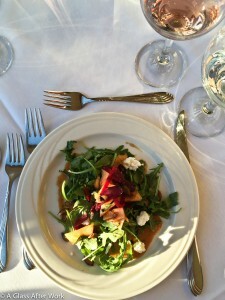 We were greeted with a rosé, and then had the opportunity to taste their wines at our own pace. 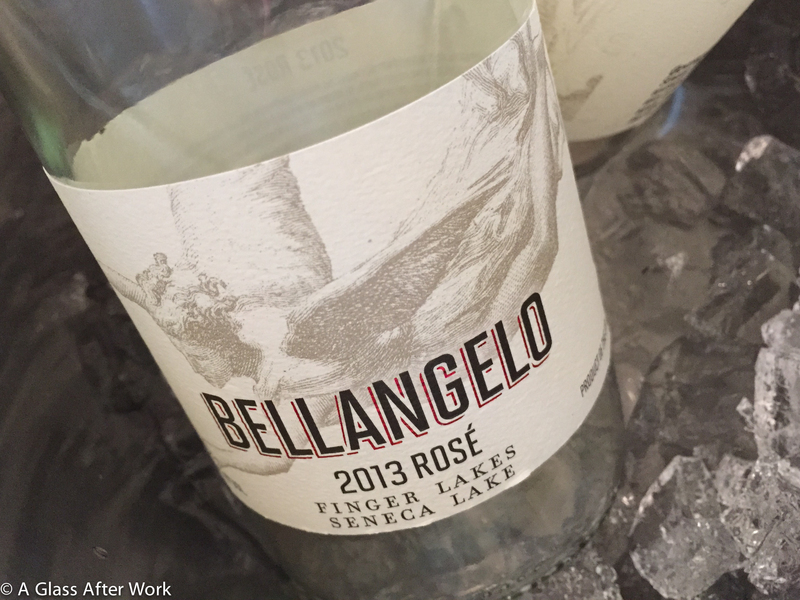 One of my favorite wines of the weekend, both because of the quality and the price, and my first Finger Lakes Rosé. This wine had some strawberries, some red delicious apples, and good acidity without it being over powering. It was fantastic with the goat cheese and the prosciutto. Wow…that nose! This wine was everything I expect from a Riesling in one beautiful glass. There was some minerality, Granny Smith apples, grapefruits, and a hint of gooseberry. The winery says this is dry, but there is definitely a touch of sweetness, but the bright acidity and keeps the wine tasting fresh. This wine didn’t have quite the complexity of the 2012, but there were still some good Granny Smith apple and citrus notes. It was food friendly wine that I would happily buy if I saw it on a restaurant wine list or in my local wine store. This wine is still unreleased, and I don’t have the price in my notes, but keep your eye out for this one. 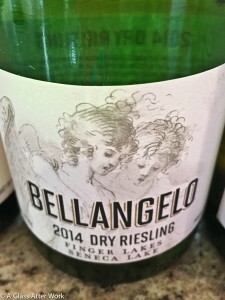 It was interesting, and while it wasn’t my favorite, I think it would make a nice summer picnic wine at the right price point. Definitely the most fruit forward, although I wonder if that will calm down a little with some aging. 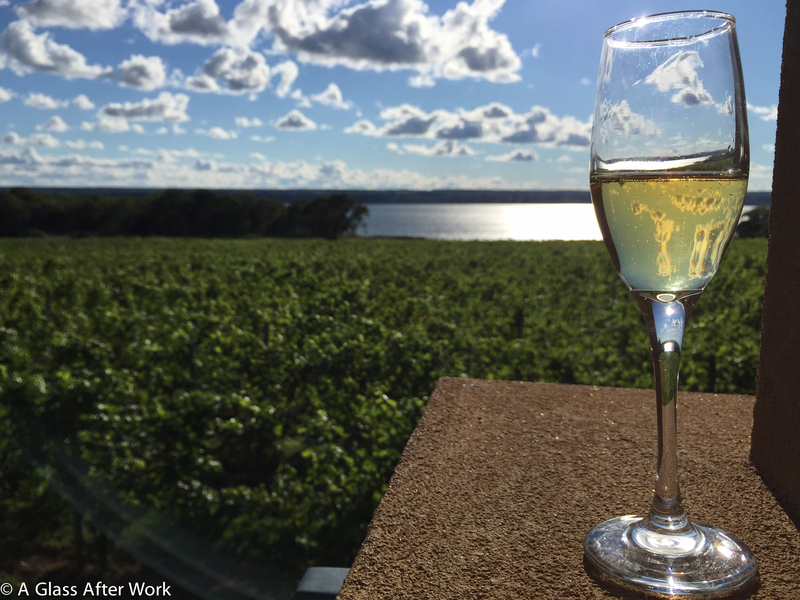 Question of the Day: Now that Labor Day has come and gone, are you going to start migrating away from white wines like Riesling?